Now you can protect your phone with superpower all thanks to this Captain Marvel iPhone Case. 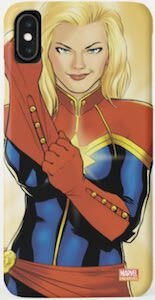 On the phone case you can see Captain Marvel and she is putting on her red gloves so that she is ready to protect your iPhone. You can get this phone case for many iPhone models from iPhone 6 all the way to XR, XS, and XS max and maybe even newer model when you read this. The protective case is made by Case-Mate so you know that besides the Marvel superhero you also get a quality product. So if you like a female superhero covering your phone then you should check this out. On this case you will see the classic sketch image of Disney’s favorite fairy Tinker Bell, find her with that yellow blonde hair upp in a top bun, blue eyes, red lips and as usual an unimpressed look on her face. Tink is also wearing that trademark green leaf dress and silver white wings behind her. Made to be very durable and really high quality from the awesome company Case-Mate, it is made to specifically fit your iPhone 6s and when on not only does it protect your precious phone from bumps and scratches it will also leave you access to all ports and buttons. 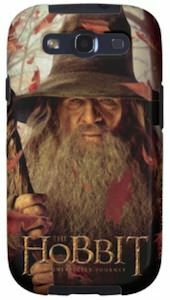 OK so you got a nice new iPhone 6 and now you are looking for a fun case to protect that amazing phone. If you like Scooby-Doo then you just have to look at this phone case made by Case-Mate. The case is covered with fun blurbs and sound that you hear on the show and then there is a sketch of Scooby himself. The brown dog would love to live on you phone case and go on adventures with you everyday. And yes of course this Scooby-Doo iPhone case keeps all the important ports and buttons available for use while in the same time protecting you phone. Come take a closer look at this Scooby-Doo iPhone 6 Drawing Case. Did you fall in love with Olaf the snowman from the Disney movie “Frozen”? 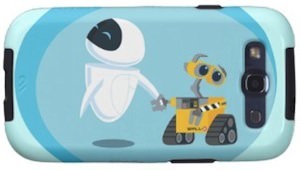 Well, if so now with this new Olaf iPhone 6 case you can protect your new iPhone 6 and you can hang out with Olaf all day long. 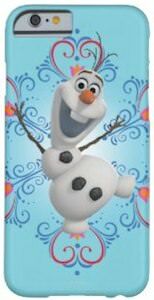 This cool Frozen Olaf iPhone features the awesome snowman Olaf covering the case with hearts designs all Olaf. The Frozen iPhone case is made of durable hard plastic for an IPhone 6 with a 4.7 inch screen and is Impact resistant with access to all ports, controls and sensors available for use. Let Olaf the snowman protect your new IPhone 6 with the cute adorable Frozen Olaf with Hearts Snowman iPhone Case. Are you a big fan of the Muppets? Do you have an iPhone 5s or iPhone 5 that needs protecting? 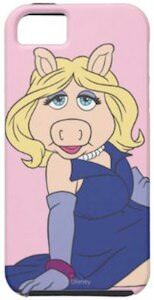 If so let Miss Piggy from the Muppets protect your phone with this cool Miss Piggy iPhone case. This pink Miss Piggy iPhone 5s cover features the elegant Miss Piggy herself wearing a lovely purple dress with purple gloves and some jewelry posing for a photo. It is lightweight hard plastic with a rubber lined interior, is impact resistant and there is access to all ports, controls, and sensors. This The Muppet Show case is made by Case-Mate and that means quality and protection. You might want to call Kermit yourself while using your phone while Miss Piggy is protecting it. So protect your iPhone now with this Miss Piggy iPhone 5s And iPhone 5 Case. There is Tinker Bell and she has something on her mind. She worries about your iPhone and wants you to protect it better. And to do so she is posing on this iPhone 5 case. The case is black and that makes the drawing of Tinker Bell stand out nicely. The case is made by Case-Mate and that means a quality product with the protection your phone needs. 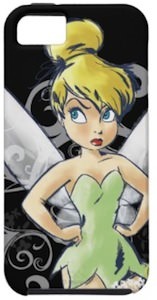 So if you want a great looking iPhone case then you have to check out this Tinker Bell iPhone 5 Case. Are you the Superman fan that has an iPhone 5 without a case? If so then you should check out this case. This case made by Case-Mate will protect your iPhone from harm while making it look more fun. And sure it keeps all you buttons and ports of you iPhone 5 ready to use without the need of removing the plastic shell. On the case you see and crumpled up cartoon in black and white and on top of that your find a red Superman logo and of course that stands out nicely on the black and white background. The design is not just limited to the back no it keeps going on the sides to. Get Superman on your iPhone with this Superman Red Logo iPhone 5 Case. Does your iPhone need some superhero protection? If so then you just have to check out this Batman iPhone 5 case witch also works great on the iPhone 5s. The case is made by Case-Mate from hard plastic that keeps you phone safe from harm and scratches. The case is white and on that we have a picture of Batman and Catwoman standing agains each other in a nice pose. And this is not one of those cheap cases that stop at the edge no the picture of Catwoman and Batman keeps going around the corners. And as a quality iPhone case should all the ports and buttons are ready for you to use even with the case on it. 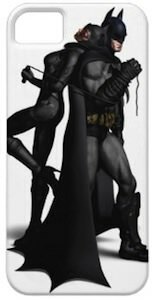 So if you want the perfect iPhone 5 case with Batman and Catwoman then you just have to have a closer look at this Batman And Catwoman iPhone 5 Case.